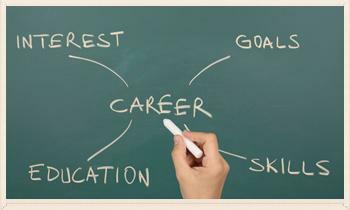 Eighty percent of all groups of ninth-graders will graduate from high school ready for college and career training. 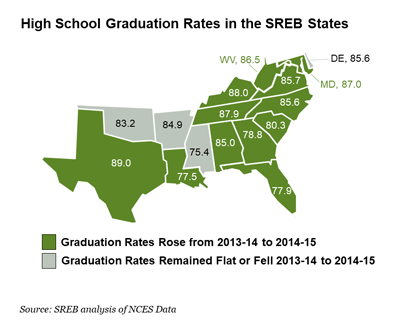 Graduation rates are up again in states across the nation – and SREB states lead the pack once again in data released this week by the United States Department of Education. 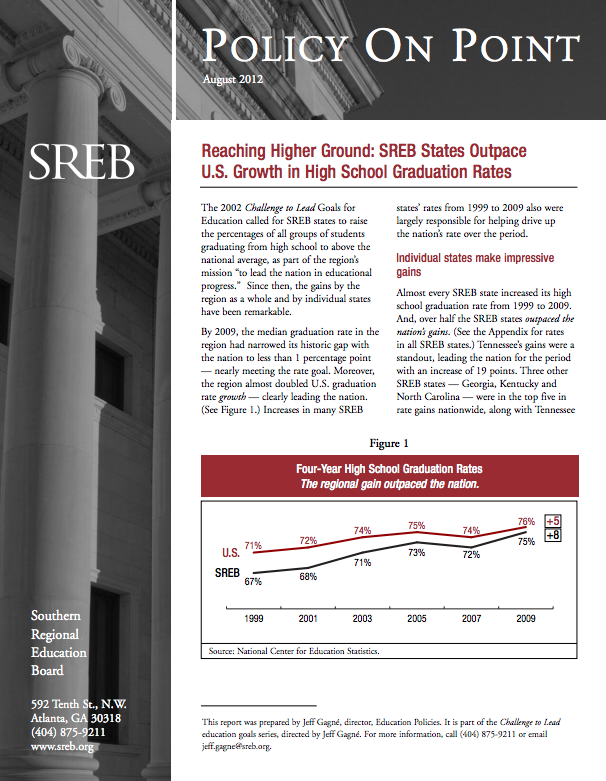 Over the past decade, SREB state policy-makers have focused on actions to reduce dropout rates and increase high school graduation rates. Some policymakers have suggested that raising their state’s compulsory attendance age (often called the dropout age) to require students to stay in school until age 17 or 18 is an important step. Brittany Dameron, a fifth-year math teacher at Riverside High School in Belle, West Virginia (Kanawha County School District), taught her first formative assessment lesson (FAL) spring semester of 2016. 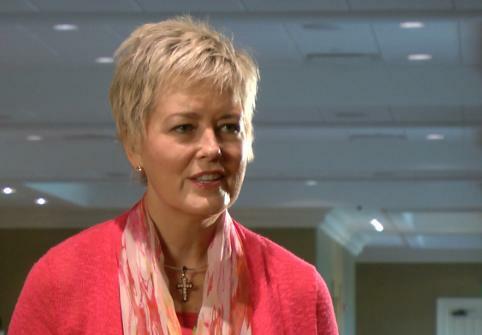 She finds the strategies of the Mathematics Design Collaborative (MDC) make math come alive for her students. We had just finished a module on Romeo and Juliet, adolescent brain research and decision-making when I was notified of a surprise visit from the state Department of Education. 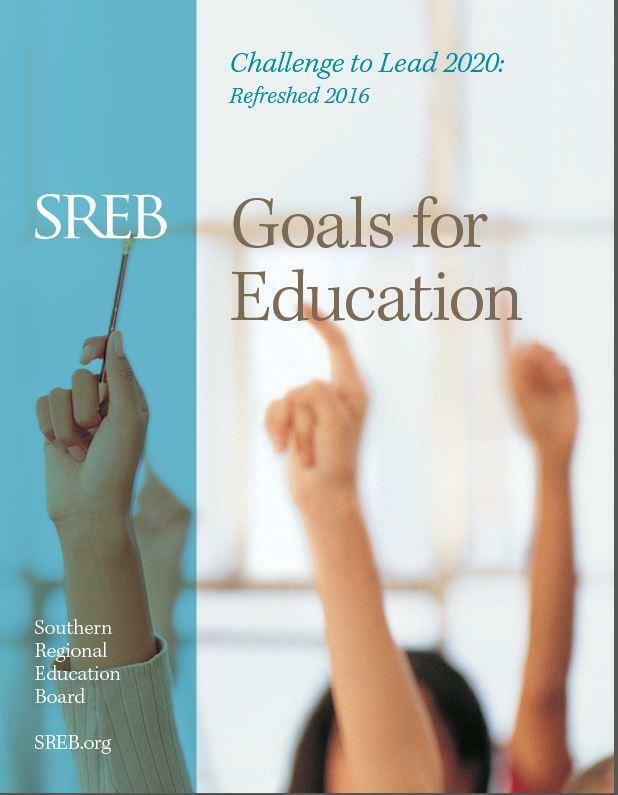 The 2002 Challenge to Lead Goals for Education called for SREB states to raise the percentages of all groups of students graduating from high school to above the national average, as part of the region’s mission “to lead the nation in educational progress.” Detailed in this SREB Policy on Point report, the gains made by the region as a whole and by individual states since that time have been remarkable. 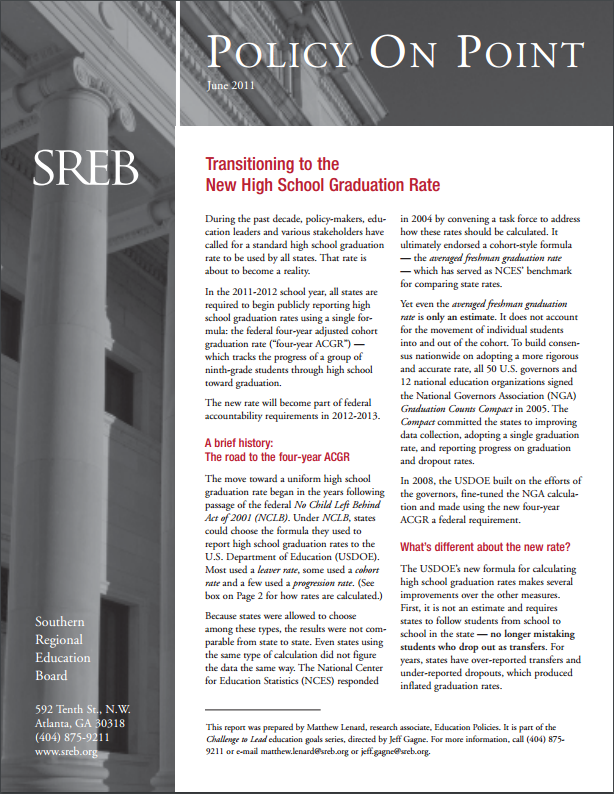 Almost every SREB state increased its high school graduation rate from 1999 to 2009, and more than half outpaced the nation’s gains. 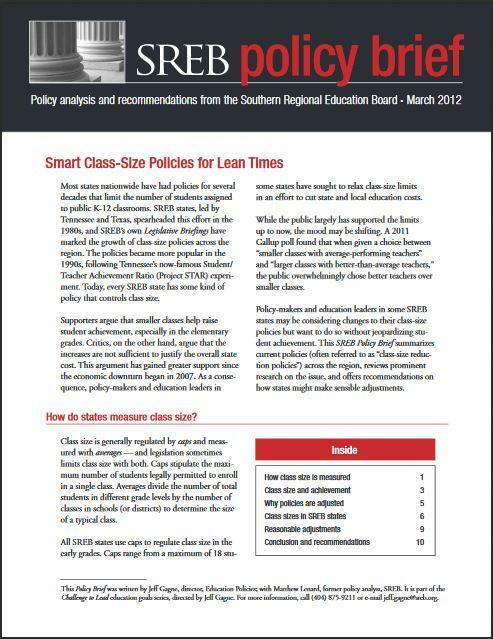 This policy brief summarizes class-size reduction policies across the region, reviews research on the issue, and offers recommendations on how states might make sensible adjustments without jeopardizing student achievement. For nearly a decade, states have had flexibility in collecting and reporting graduation rate data for state and federal accountability purposes. 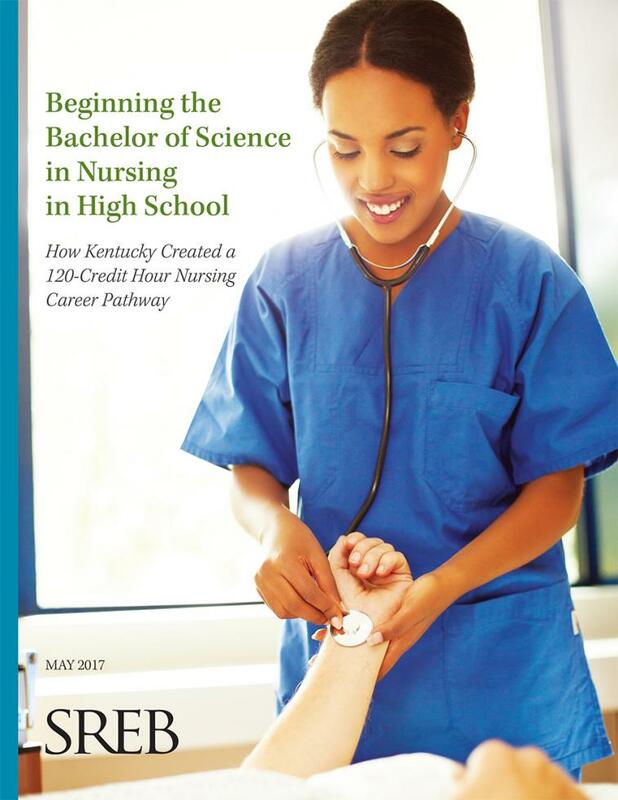 But in 2008, the U.S. Department of Education issued new guidelines that require all states to report a new rate – the four-year adjusted cohort graduation rate – beginning in the 2011-2012 school year. 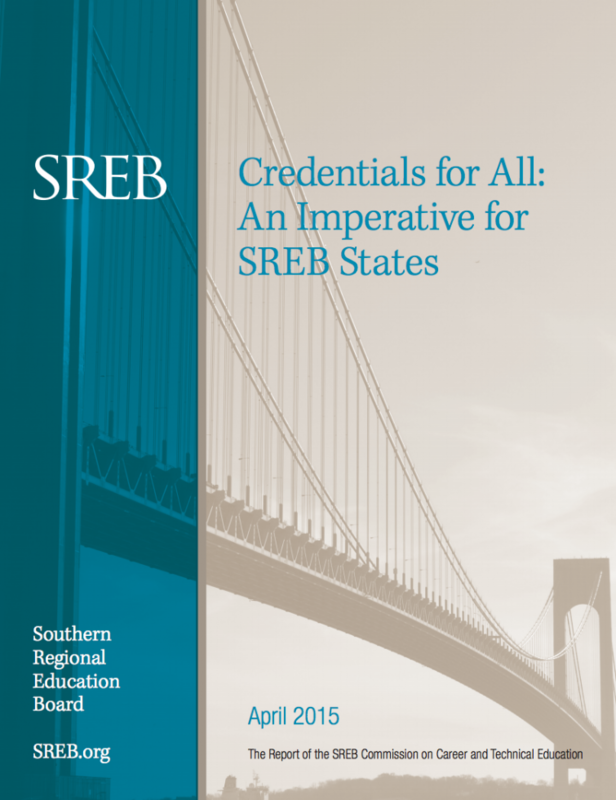 The majority of states nationwide and all 16 SREB states link eligibility for a driver’s license to school attendance (and in some cases to academic performance). 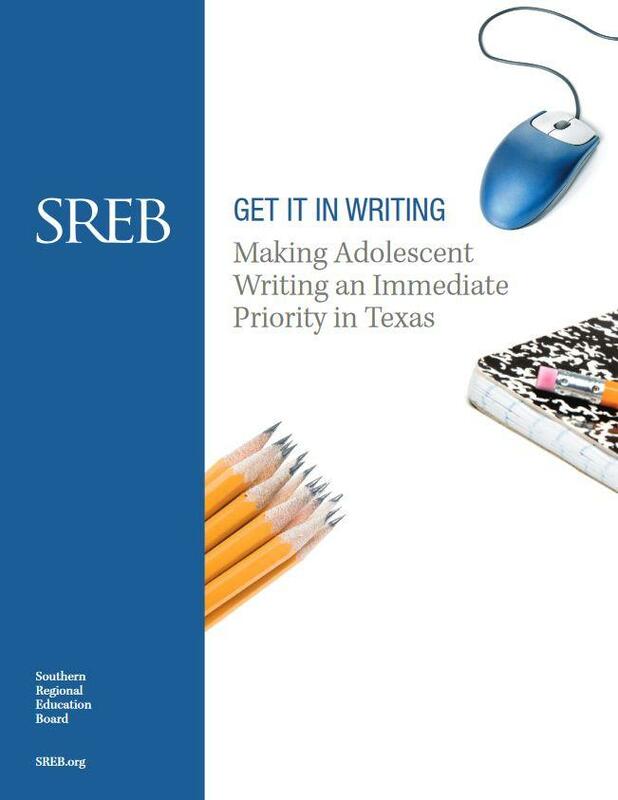 This policy brief compares attend ‘n’ drive laws across SREB states, takes a look at their effectiveness, and offers recommendations for states. 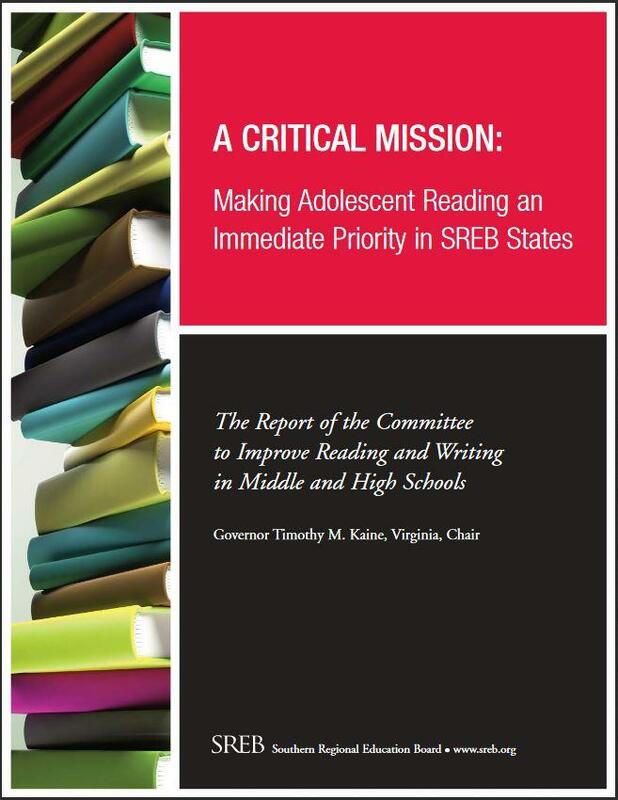 This report recommends strategies that states and public schools can use to improve student achievement and raise graduation rates. 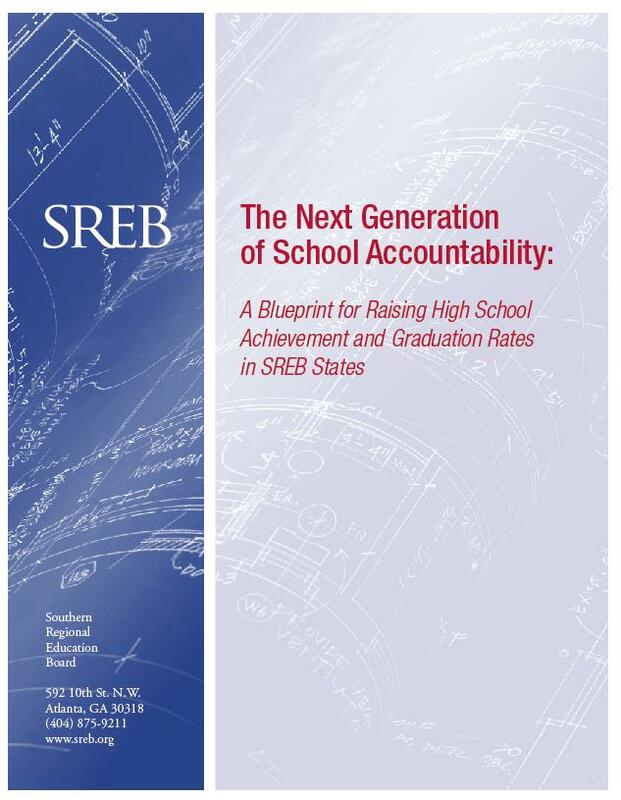 The report is based on the recommendations of the SREB Committee to Improve High School Graduation Rates and Achievement, led by Governor Sonny Perdue of Georgia.